When I was young, a glass of sherry was something my great aunts and other old ladies sipped from etched crystal glasses, accompanied by sweet biscuits and muted gossip. 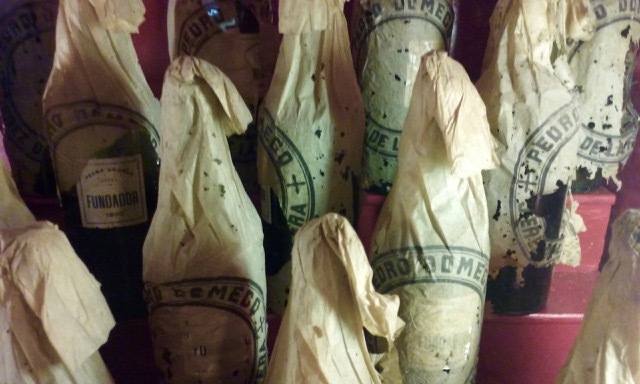 The names on the bottles were Bristol Cream and Dry Sac, which sounded much more English than Andalusian. Most of the old ladies have long since passed away and I have not had much expose to sherry since. But that was before we moved to Spain and went on a tour of one of the country’s oldest and most venerable sherry bodegas. A sherry is a fortified wine usually made from the green grapes of the Palomino, Muscatel or Pedro Ximenez variety. To be legally classified as such, the sherry needs to originate from Andalucia’s so called sherry triangle formed by the three towns with the long and intricate names of Jerez de la Frontera, Sanlúcar de Barrameda and El Puerto de Santa María. Only this area with its chalky white soil presents the right growing conditions for this special wine, which achieved Spain’s first Protected Designation of Origin status in 1933. The name sherry is an anglicised version of Xeres or Jerez. There are a rich variety of sherry wines to satisfy any taste and accompany almost any dish. On the lighter side, there is the dry, straw coloured Manzanilla and Fino that locals enjoy as an aperitivo. Moving on, there are the darker and slightly heavier versions with musical names like Amontillado and Oloroso, and finally we end up with the sweet dessert wines called Pedro Ximenez, from a grape of the same name. 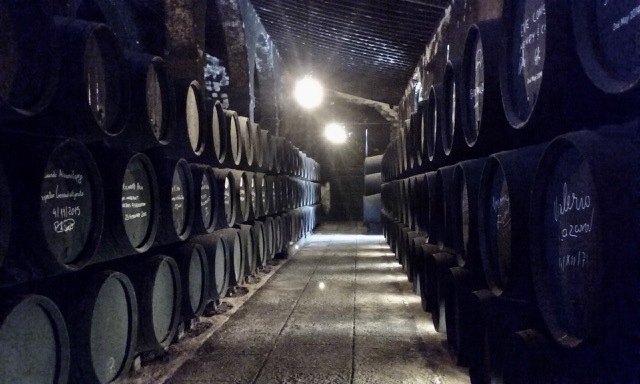 We made a visit to the Bodega Fundador, which we were told was Jerez’ oldest winery. The company began producing what we now know as sherry in a converted olive mill in 1730 and the building is still in use up to this day. In the 1840’s, the company began distilling their famous brandy, today not only universally known, but according to some the word’s biggest brandy producer with over 30 million cases sold last year. Initially owned and run by the famous Anglo-Spanish semi-aristocratic family of Domecq, the present owner is now from the Philippines. This new acquisition adds to the global brand, since former owners also have been English, Americans and Chinese. The international connection is nothing new. 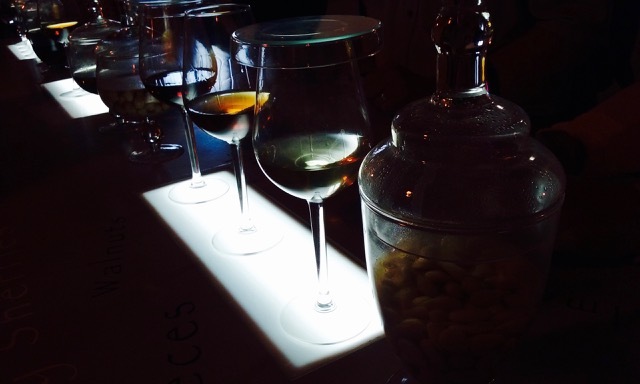 Wine has been produced in Jerez since the times the Romans ruled these lands some 2000 years ago. Later, during the seven centuries that the Arabs ruled the Iberian continent, the Moors who were not being able to drink wine for religious reason, distilled the wine for medicinal and antiseptic use. After the Spanish expulsion of the Moors in the late 13th century, the wine spirit was again made for human consumption. The production was actually so considerable that it was subject to a Wine Spirit Tax by the 16th century. While the Netherlands imported most of the early Spanish brandy, the English favoured the softer cousin, the sherry. It is said that when Sir Francis Drake plundered the port of Cádiz in 1587, part of his loot was three thousand casks of sherry. While the English might not have come by their favourite dessert wine through legal means initially, it certainly began a gustatory love affair that is alive up to this day. Our sherries are very spoilt, said Lourdes, our friendly guide before bringing us into El Molino, Fundador’s first and oldest bodega. It may seem odd to describe a wine as spoilt or ‘mimado’, but after learning about the long and labour intensive journey from grape to bottle, I would tend to agree. What immediately hits you when entering the soon 300-year-old bodega is the smell, or should I say the attack on the olfactory senses. The scent is a mixture of rich wood, some type of sweet nectar, spilled wine turned into vinegar, old cellar mould and wet stone. The temperature of the enormous bodega is kept constant in the balmy mid teens, 18 degrees Celsius and 70% humidity being the ideal. This is achieved naturally through the building’s construction and its orientation. Windows at the far end of the halls facing towards the coast offer ventilation as they admit the cool sea breeze in the evenings and early mornings, while traditional woven straw blinds keep the hot midday sun out. Bodegas were normally built large and high with meter-thick white walls for thermos properties, tiled roofs that would breathe and floors covered with sand, which could be watered down to keep the humidity high. The El Molino bodega itself is an endless warehouse of hall after hall of old wooden barrels, stacked on top of each other, three layers high. The bottom layer from which the final product is extracted is called solera (or on the ground). The layers of barrels cradled above these are called criadera (or nursery) 1 and 2. 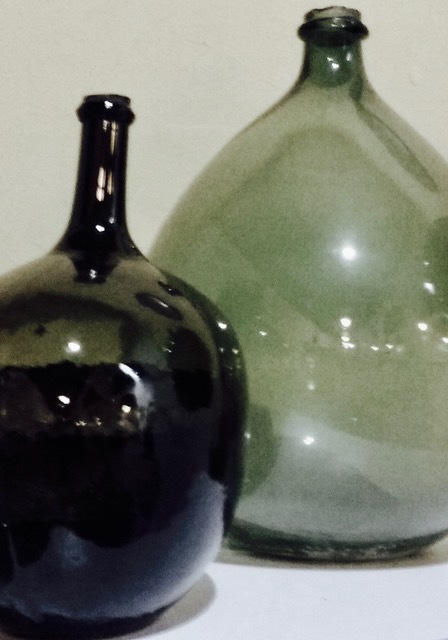 New wine is introduced into nursery 1, and gradually, usually annually, moved down to the older nursery and finally to the solera where the oldest, most mature wine is stored. Only after the fermentation is completed is the base wine fortified with grape spirit to reach the desired alcohol content. No cask is ever drained and never is more than one third of a barrel removed, allowing for the different generations of grapes to blend. This type of ageing (also used for a wide variety of other products, including port and balsamic vinegar) is called fractional blending. It assures that every bottle produced will have a mixture of ages of wine, which increases gradually as the process continues over the years. Some soleras therefore can date back hundreds of years. The barrels that Fundador uses are made of American oak. All casks are impregnated with wine before use, since new barrels would give too strong a wooden taste for this type of product. The old sherry barrels are widely sought after by whisky makers, so some of the sherry producers in the Jerez area sell off the used barrels to Scotland. Fundador however, hangs on to every old barrel, rather mending them and using them for year after year. Nothing is wasted here, says Lourdes, explaining that even if a barrel of sherry goes spoilt, it will be made into Pedro Ximenez vinegar. Prior to tasting the product, we were lead through Fundador’s collection of old bottles, bottling machines, distillery contraptions and an impressive collection of vintage sherries and brandies. Here, we got to smell the process through which their spirited wine will go to produce the different sherry types. Because the fortification takes place after the fermentation, a sherry is initially dry with any sweetness being added later. 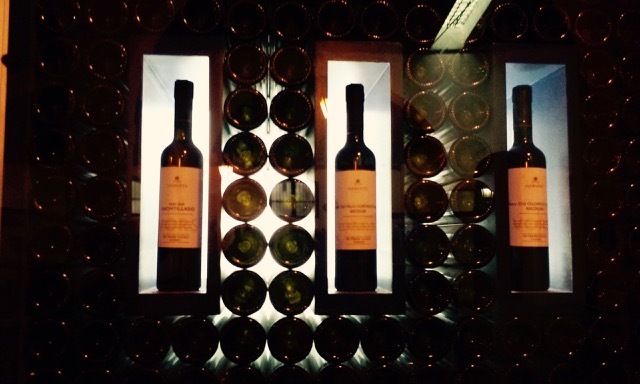 Fino and Manzanilla are fortified until they reach an alcohol content of 15.5 per cent by volume. As they age, they develop a layer of yeast-like growth that helps protect the wine from excessive oxidation and keeping its light colour. This dry aperitif wine, with a slight aroma of almonds, is perfect served on ice with our without a nibble of Payoyo goat cheese. The Oloroso sherry is allowed to oxidise in the barrel until it reaches an alcohol content of at least 17 per cent. It is rich amber in colour, has a slight hazelnut aroma and goes splendidly with Iberian ham. The Amontillado sherry is somewhere between a Fino and an Oloroso, while the exportation favourite Cream Sherry is an Oloroso into which the naturally sweet Pedro Ximenez wine is added. 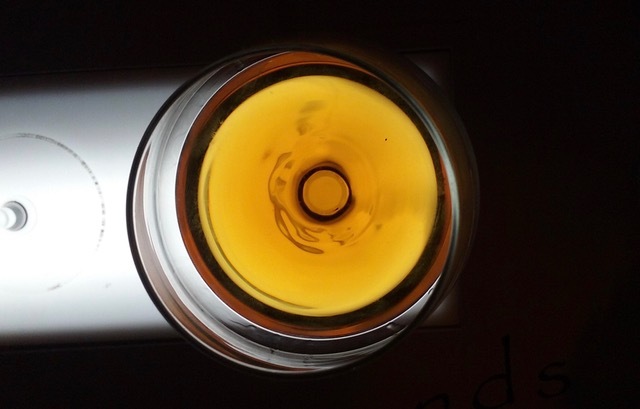 Jerez brandy is made by aging wine spirits in former sherry casks. Like we were told, nothing is wasted. Of course, no sherry tour is complete without a tasting, of which we did ample. Though we seemed to go through them all, our favourite one was hard to point out, so we had to bring a few bottles back home for further investigation. Needless to say, I am starting to realise that my great grand aunts were onto something. 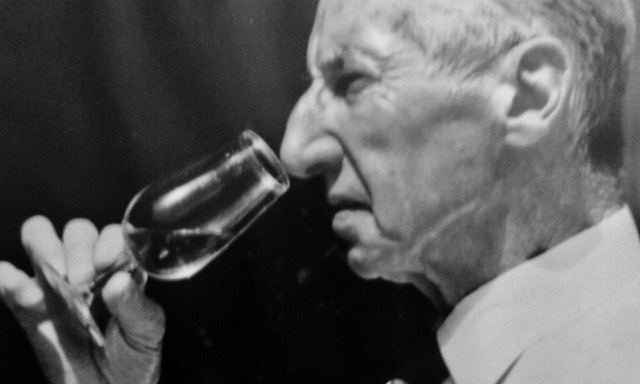 A glass of sherry, like a bit of history, is a most worthy cheer.